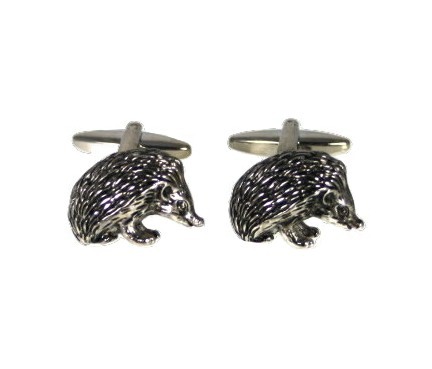 One of our 'Novelty Cufflinks' range. A very cute hedgehog trinket box (by Hidden Treasures) with prickles, long snout, little ears and the odd leaf! A cute hedgehog doorstop with leatherette features, bead eyes and beautiful soft fur ears and back, for keeping doors open that would rather stay shut.